My title should read my first relaxer touch up since I seriously started my healthy hair journey. Armed with all I knew about healthy hair practises off I went to the salon. I had added about 5 teaspoons of my oil mix to 225gram of my venus relaxer about 1 hour before I was at the salon. I was trying to reduce the potency of the relaxer so that it won’t over process my hair. Let me just say that I am never ever ever ever using that venus relaxer again! Why? Please continue reading, I would explain why. Anyway I went to the salon where I normally get my weaves fixed and found out that the owner was not around. 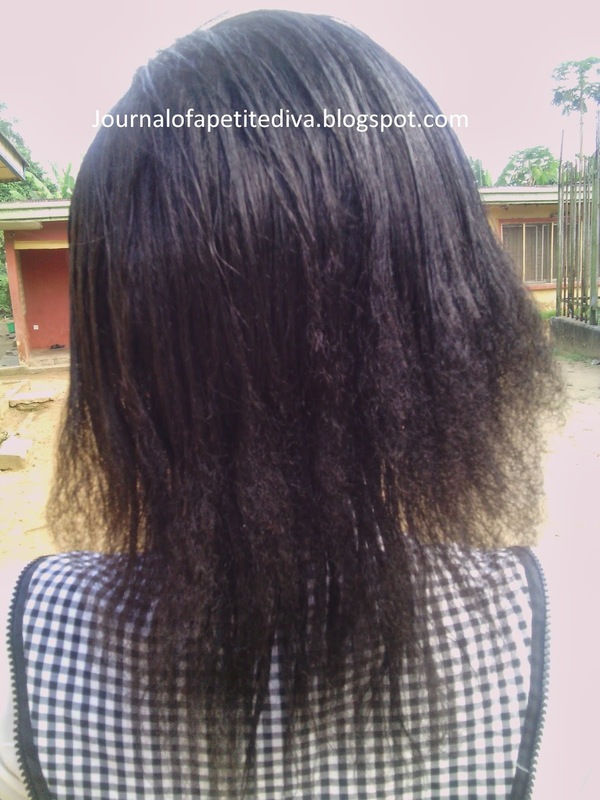 As I had already added oil to the relaxer I had to find another option fast because I could not come back the next day (the relaxer might not still be good). I remembered an IT student had told me about a salon close by so I went there. The lady started applying the relaxer to my hair and I don't think she based my hair with petroleum jelly but I can’t be sure because I was distracted. A senior colleague had created some issues and I was trying to resolve it in a very mad state (some people are just annoying). When everything was resolved I started watching her carefully but she had applied the relaxer a little bit above where I would have liked. But what made me a little bit calm was that in the morning I had applied a lot of oil and shea butter to my hair strands (I think one of them even complained that my hair was oily). The oil and shea butter helps to prevent over processing of the hair. I however told her not to apply further or comb further. Oh I have forgotten to mention that I made her use my big comb (it is not as big as the wide toothed comb but not as small as the rat tail comb) and she complained but I told her that I didn’t want my hair to be too processed. Immediately she was through I asked for the relaxer to be washed off and that was when her girl started dragging her feet with the water. I felt my hair processing at a mega speed and I was not happy. I don’t understand why my hair processed too much even after adding the oil but I have decided to change my relaxer. I would try ORS lye relaxer next and add oil and conditioner. I want texlaxed hair so that my hair can have small body! After the relaxer was rinsed off with water, the stylist applied my ORS replenishing conditioner (as per my instructions), it was left on my hair for about 5 mins then rinsed off and washed with my neutralising shampoo (twice). After I wrapped their towel (next time I am taking my towels) then she applied my light protein, moisturising deep conditioner and oil mix. She literally didn’t understand what it was and how to apply it. I had to show her. 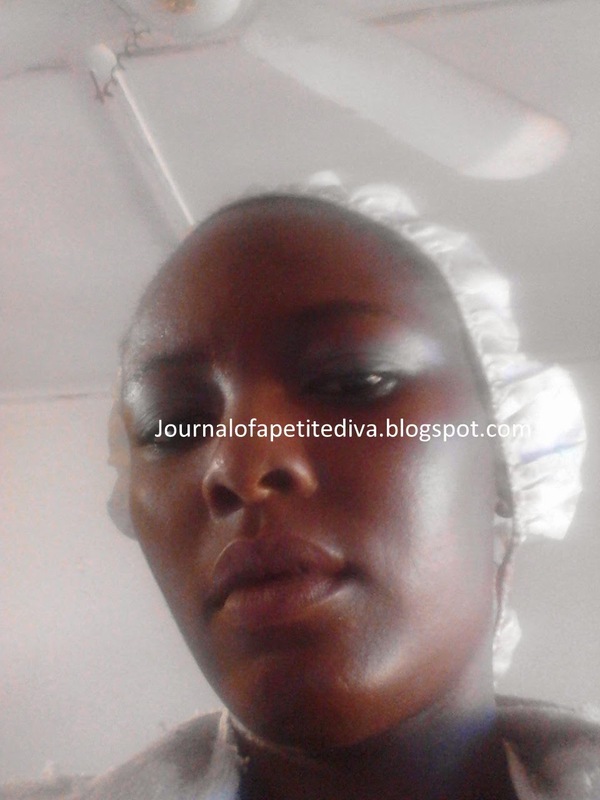 I covered my hair with a light shower cap for about 40 mins then had her rinse it off. Then the flat ironing process began, she applied my heat protectant and began to straighten the hair. She made about 6 passes and I was not happy. She would have done more if I didn’t stop her. I pitied my hair. But since I only intend to apply direct heat to my hair only when I have a relaxer touch up and which would occur at least every 18-20 weeks I had to calm down. The relaxer touch up didn’t really go well because my hair was a lot processed but I have learnt from this touch up and would try to do things differently and maybe with a different hairstylist. One thing is for sure I am not using VENUS HAIR RELAXER again. I also did not like the fact that she didn't follow all of my instructions especially with the direct heat. But seeing as she was confused with most of the steps i told her to do, i have to cut her some slacks. Most of these stylists don't know anything. Here are pictures of my hair after my first relaxer and the touch up. My hair is uneven and it seems my back hair grows faster than the front and middle. This means that when my hair reaches a certain length I might have to cut some so that my hair can be even a bit. Thanks for stopping by. Hope you enjoyed today’s post and try out the mid relaxer protein treatment. I think I would always have that step included whenever I get a touch up. My hair felt stronger. I am determined to do everything I can to make sure I get waist length hair in the next 2 years. Am so sorry about your hair. 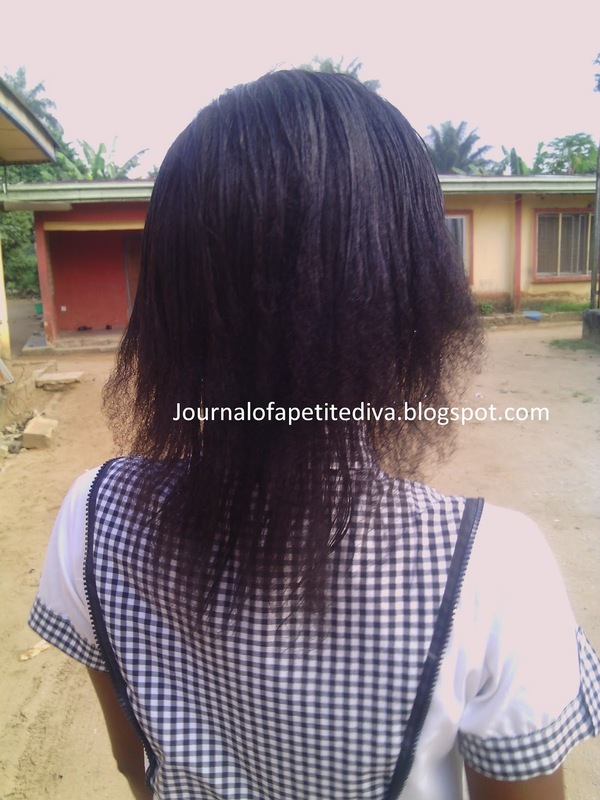 I will recommend you to follow this blog rehairducation.